OutBack's FLEXpower line of pre-wired and factory tested inverter systems are designed to save both time and money. 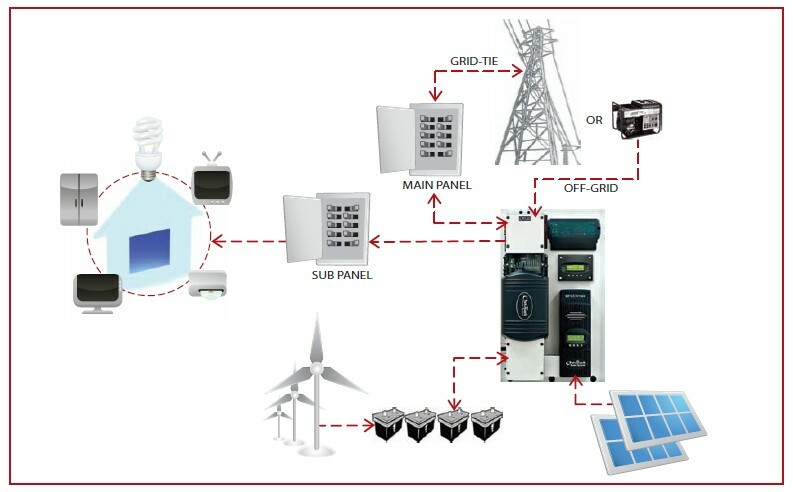 FLEXpower systems utilize our highly durable and reliable power electronics components and are available in off-grid and grid-interactive configurations. Designed for code compliant ease of installation, FLEXpower is the choice for fully integrated, true sinewave, reliable power systems. 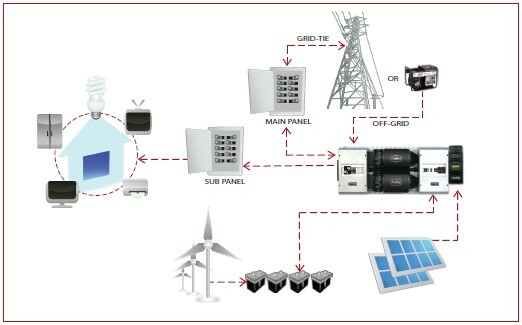 In on-grid applications, the FLEXpower ONE/TWO can use the grid power as the primary power source or as the backup source of power. If the FLEXpower ONE/TWO is used as backup to the grid, the FLEXpower ONE/TWO will take over when the grid fails. If the FLEXpower ONE/TWO is used as the primary source, the grid power will be used when the batteries have been drained. In this situation, the AC power or PV harvest can be used to recharge the battery bank. In off-grid applications, the FLEXpower ONE can use the harvested energy from the battery bank as the primary power source. An AC generator can also be connected to support the system when required. The new FLEXpower ONE System accommodates all of the essential protective devices in the smallest possible space at the lowest installed cost making it ideal for applications with modest power requirements such as cabins, chalets, homes, remote communication sites and back-up power systems. Utilizing an extremely compact design and an easy-to-install mounting bracket, the fully pre-wired and factory tested FLEXpower ONE System is designed for a quick installation, saving both time and money. The OutBack Power FLEXpower ONE System is the only choice when you need a fully integrated, true sinewave, reliable power system. 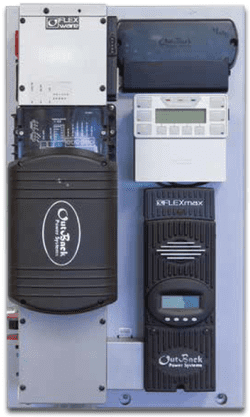 FLEXpower TWO includes two inverter/chargers, AC and DC wiring boxes, a MATE2, HUB, and Surge Protector with optional kits for charge controllers and DC system monitoring, while maintaining a small system footprint.